Fiona Donnelly is an Organisation Development (OD) specialist. Her main roles revolve around consulting and corporate training. Through her company Nexus Consulting, Fiona’s core specialty is Employer Branding & Workforce Engagement Management. Her processes empower leaders and organisations by assisting them to improve or expand their capacity to ‘attract, engage and retain’ top quality talent – ultimately to become ’employers of choice’. In her role as Trainer at Nexus, Fiona delivers OD training programmes and workshops to the corporate sector – focusing on Employer Branding; Talent Management; Workforce Engagement Management; The Change Process; Performance Management; Leadership Training; Communication skills and Network Dynamics. 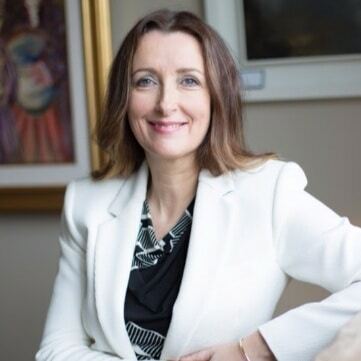 Through involvement on the professional panel of Business Development Coaches & Facilitators at IGNITE, UCC and Enterprise Ireland, Fiona has assisted many companies via business coaching, consulting and mentoring. She has also taken up positions on the boards of several institutions in a non executive director capacity. Additionally, she draws on her own wealth of experience, having started and managed a variety of retail stores in Ireland over the past seventeen years. Combining a wealth of work experience with academic learning over the years, Fiona has a BA degree in English, a MA degree in Organizational Learning & Development and is currently pursuing a PhD specializing in strategic organisational development.